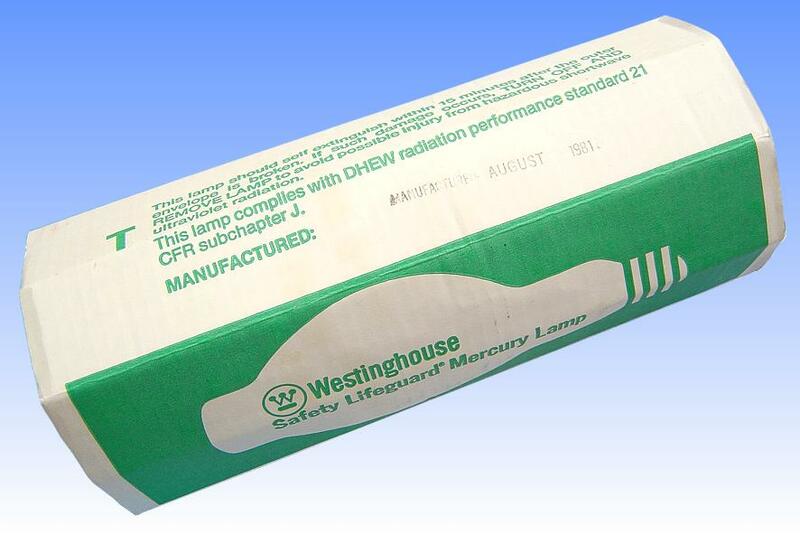 During the 1970s a number of legal cases were brought against American manufacturers of mercury lamps. 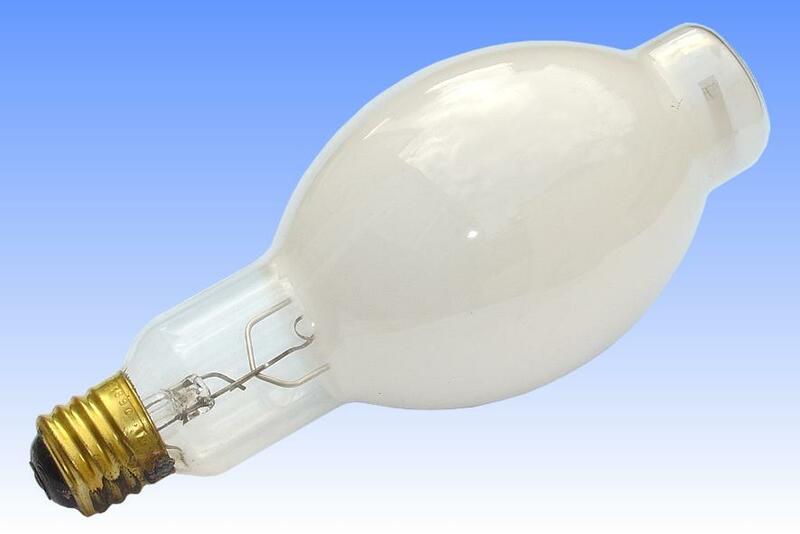 These related to customers who had received serious skin and eye burns from exposure to lamps with broken outer bulbs. 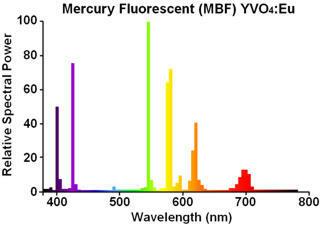 In addition to visible light, the arc tube in a mercury lamp produces short wavelength ultraviolet radiation, which is very damaging to skin and eyes. Normally this ultraviolet radiation is absorbed by the glass of the outer bulb, which is unable to transmit such short wavelengths. However a problem arises if the outer bulb is broken, because the inner arc tube will continue to burn for several tens of hours, until its moly foil seals oxidise and fail. The problem was ingeniously solved by Duro-Test with the launch of the Safe-T-Vapor lamp. 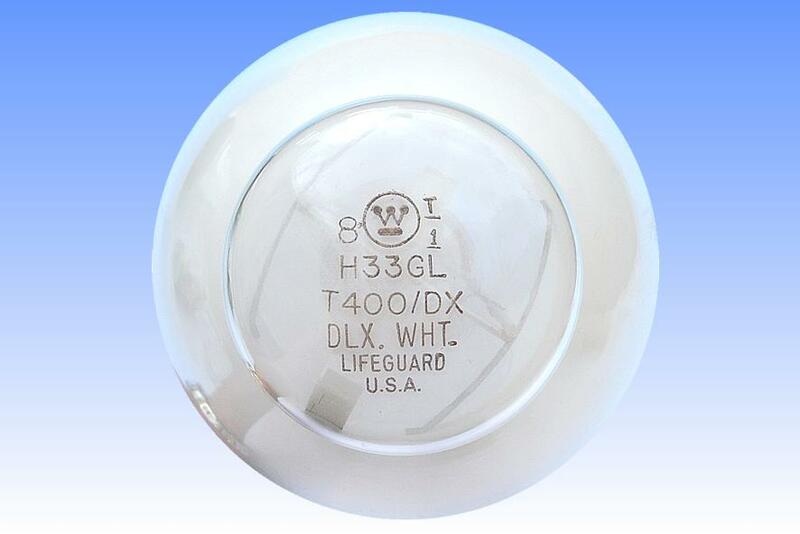 This incorporates an "oxygen fuse", consisting of a glowing tungsten filament wired electrically in series with the arc tube. The filament glows at a low temperature whenever the arc tube is operating. If the outer jacket should be broken, the filament rapidly oxidises, thus breaking the circuit to the arc tube. This technique was later improved upon by Westinghouse in the lamp on this page. 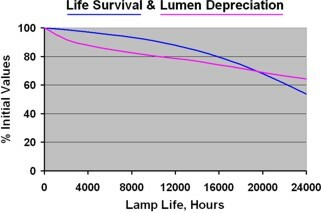 The oxygen fuse has the drawback of consuming some power and reducing the luminous efficacy, while also considerably increasing the production cost. 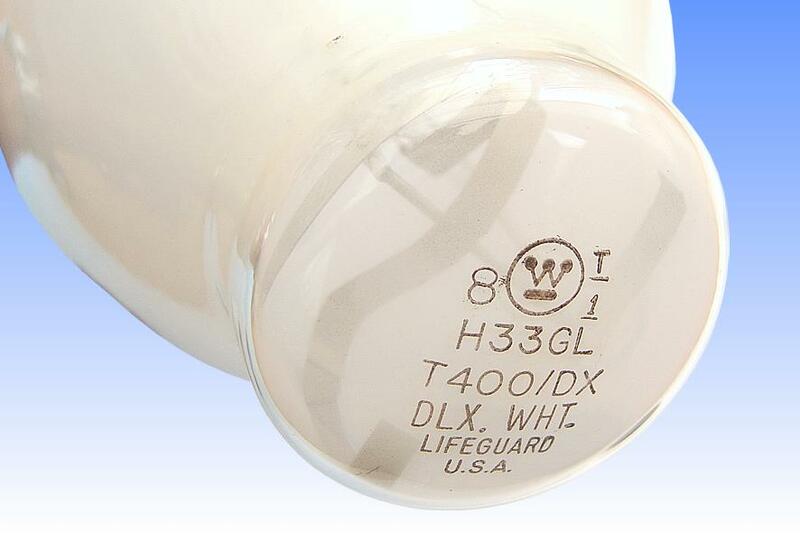 In the Westinghouse design, the far end of the arc tube is electrically connected to the frame via an S-shaped spring, located in the dome of the bulb. The bulb maintains pressure on this spring. However in case the bulb should be broken, the spring will fly outwards, breaking electrical contact and immediately extinguishing the discharge.